Yesterday Apple released the latest iOS update that included Apple Music. This buzzed-about service officially puts Apple into the world of streaming along with Spotify, and Rdio. The update also includes a heavy emphasis on radio-both traditional live radio and custom stations based on user’s choices. This launch is a big deal to musicians. Will Apple Music be able to make streaming a viable part of a musician’s income? Will its paid-only service be able to attract enough fans to make a difference? The most important thing that we need to know right now, as a community of artists, is if Apple Music is actually going to appeal to the masses. Music fans are what keep artists going, and if any streaming service is going to work, it has to be backed by fans. Does Apple Music Meet Fan Needs? This release has garnered mixed reviews, but the general view is that Apple Music is powerful, but is busy and hard to navigate. There are great features, such as Siri’s ability to control the app and find specific music for you without ever pushing a button. The app also seamlessly integrates with your current iTunes library. If a fan wasn’t already a convert to streaming music, this app makes it incredibly easy for them to make the switch. These things are great features, but they are somewhat overshadowed by the sheer volume of content in the app. It’s slightly confusing to navigate between the different tabs, and each tab seems to have about a million options. However, these slightly confusing problems are not deal breakers, though they limit the app’s usefulness. If fans were hoping that Connect would bring them closer to their favorite artists, they were probably a little disappointed today. The Connect tab is pretty bare. This could change as artists invest some time into uploading content, but so far, Connect is fairly disappointing. So what should artists do in the wake of this massive and highly publicized launch? We’ve talked about it before, but streaming services shouldn’t be the main way you get fans to listen to your music. 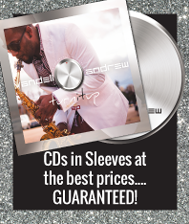 When used well, streaming can be an effective tool for marketing your music. However, with the current way that streaming pays artists, you shouldn’t count on it as a major income stream. Instead, leverage the people who find you and follow you on streaming services and try to take them from casual listeners to real fans. Apple touts Connect as a place for artists to post exclusive content to fans. This is great in theory, except that there is no way to monetize this content, and there is no way for artists to capture fan information. The word exclusive is also misleading, since anyone can log onto Connect (you don’t have to have a subscription to Apple Music), and you can post the same content on Connect that you post to any number of social media sites. But Connect does give fans a way to look at your profile while their streaming your music. Connect has the potential to let fans and artists interact directly in the service they use to purchase music, and this is a good thing. You’ve gotten a fan’s attention, and you can use Connect to post content that will encourage them to engage with you further. You should use Connect like any other social media outlet. You can direct fans to your website, post about shows or new releases, or let them know where they can sign up for your mailing list! I will insert a disclaimer into this: Remember when I told you I had a problem with Apple Music allowing me to claim my Connect profile? As of July 1st, this is still a problem. My music is available on Apple Music’s streaming service, but I can’t log into Connect to post to any potential fans. My account is still awaiting verification. Apple should probably also be worried that artists just won’t post on Connect. This was Apple’s problem with the failed music social network Ping. Since the content that artists are posting to Connect is probably not different than what musicians are already offering on Facebook, Twitter, and Soundcloud, artists have to decide whether the extra time spent updating another social media profile is really worth it. Connect also doesn’t work from a desktop computer. It is only accessible through the iPhone and iPad app. This limits the service’s functionality, especially if you like to do most of your social media posting from a computer. 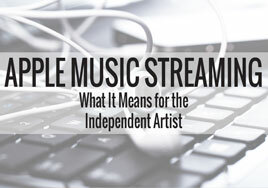 We will keep you updated as we learn more details about how much Apple music is actually going to pay artists, and if Connect actually works to keep musicians and fans, well, connected. Do you have any thoughts on Apple Music? Do you this this is going to drastically alter the way fans consume music? Let us know it the comments! 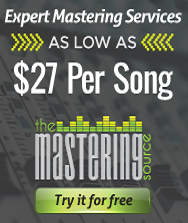 If you are an independent musician, this weekend Taylor Swift became your new best friend. Whether you like her music or not, you should be thanking T-Swift. This month Apple announced the launch of Apple Music. You can read more about the launch here. Apple’s streaming service will require a paid subscription (no freemium like Spotify) after a 90-day free trial. About a week after the announcement was made, a contract leaked that stated that Apple Music was not going to compensate rights owners during the three month free trial. This put the entire industry on edge, and for good reason. 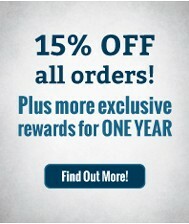 Three months with no revenue is never something a business owner wants to hear. While the music industry was trying to decide what to do with Apple’s decision, Taylor Swift stepped in. She famously pulled all her music from Spotify last year, stating that she was not okay with people listening to her music for free. And she took the same position with Apple. Swift also declared that this was not a selfish move. She says “This is not about me. Thankfully I am on my fifth album and can support myself, my band, crew, and entire management team by playing live shows.” She goes on to say that she is speaking up for the artists, songwriters, and producers who rely on this income to make ends meet. Swift asked Apple to change their policy, stating that the tech giant has enough money to pay musicians during the free trial, even if the fans aren’t paying. Luckily for musicians everywhere, Apple listened. Senior executive for Apple, Eddy Cue, announced over Twitter that Apple heard Taylor and independent musicians, and they will change their policy so that rights holders will be compensated during the free trial. This is a big victory for musicians and creators everywhere. And we have Taylor Swift to thank for that. She was the catalyst behind changing Apple’s mind. 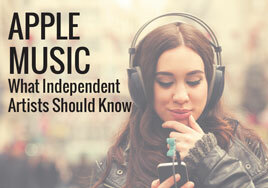 Why Does This Matter to Independent Musicians? 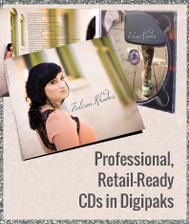 Something independent musicians lack is organization. That’s the nature of being independent. We don’t report to anyone, there is no standard network we all belong to. This is a great thing because it means that musicians are free to create whatever they want, with no fear of being told what to do by a label or other third party. But this lack of organization is devastating when it comes to effecting major change in the industry. As individuals, we have no real way to influence government policy, and no power to affect decisions that are made by big businesses. But today, we found a voice. Taylor Swift has the fan base, the fame, the influence, and the sales record to make Apple take notice. And Taylor seems to genuinely care about the future of the music industry for everyone, not just major artists and labels. 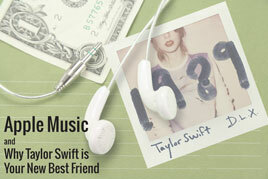 While we can’t expect Taylor to fix everything, she just accomplished a great thing for the music industry as a whole. And independent musicians should be thanking her. We should also be having conversations about sustainable streaming on a regular basis. People are getting used to the idea of paying a subscription for music, and as we look forward to a sustainable income model for musicians, we can use that to our advantage. Things may not look so great right now. But we are in the beginning of a whole new music industry, and good decisions— like Apple’s decision to pay artists—are helping us move in the right direction.